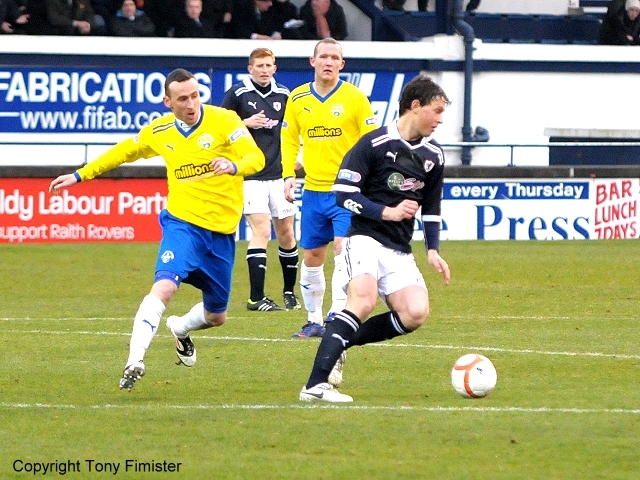 Raith Rovers and Morton shared six goals in an entertaining league encounter at Stark’s Park this afternoon. 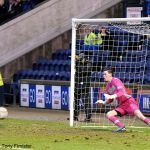 Rovers welcomed skipper Allan Walker back following his two-match ban, though David McGurn had to settle for a place among the substitutes as young Ross Laidlaw retained his place in goal. 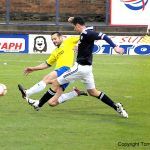 The loss of Simon Mensing to injury saw Rovers boss Grant Murray shuffle his pack, with a five-man midfield leaving Brian Graham as the lone striker. The opening exchanges offered scant indication of the goal-glut to come, as the sides tentatively sought to gain a foothold in the match. 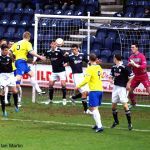 The Rovers defence easily dealt with Morton’s first corner after five minutes, although they were not so fortunate at the next one a mere five minutes later, when the Cappielow side opened the scoring. 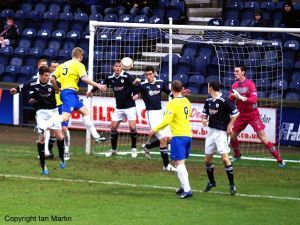 A dangerous-looking cross into the box went without challenge by any home defender, and Rutkiewicz had the simplest of tasks in placing his header firmly beyond Laidlaw from six yards. It could have gone from bad to worse for Rovers within two minutes of the restart, when Ton forward David Graham found himself in acres of space inside the box. 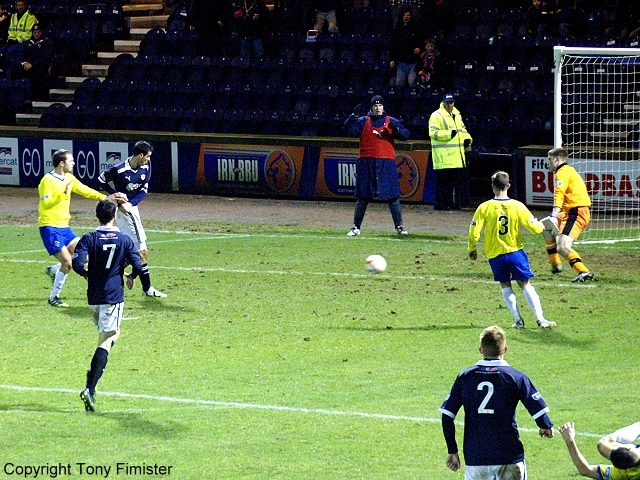 However, to the relief of the home support, Graham pulled his low shot wide of the target with the goal at his mercy. 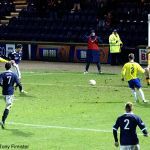 Rovers upped the ante in a bid to restore parity, although Walker’s shot from 30 yards was comfortably dealt with by the Morton keeper. However, Morton then went close to doubling their advantage when a whipped cross narrowly evaded the in-rushing David O’Brien. 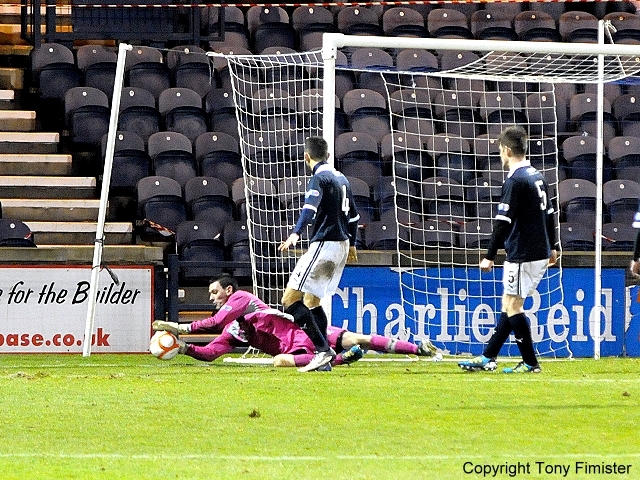 With 25 minutes on the clock, Rovers fashioned an equaliser. 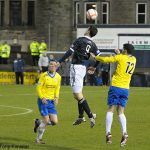 David Smith picked up the ball midway inside the Morton half, and his astute pass found Brian Graham lurking in space on the left hand side of the penalty area. 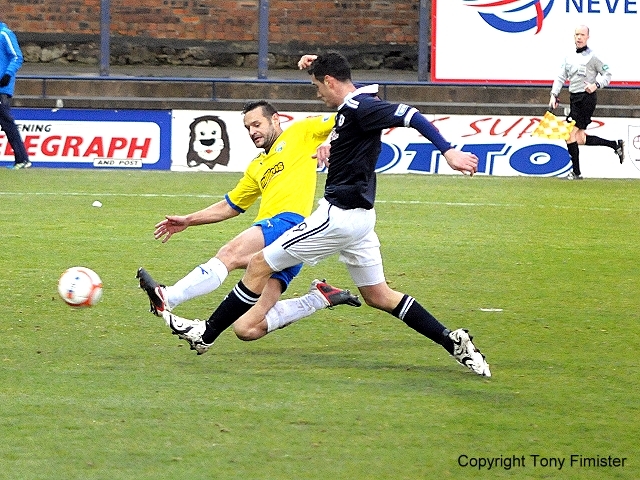 The Rovers striker composed himself, and flashed a left foot shot high into the net. 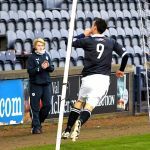 Whether the Morton fans seated in the south stand appreciated their former hero’s obvious delight at the goal remains open to conjecture. 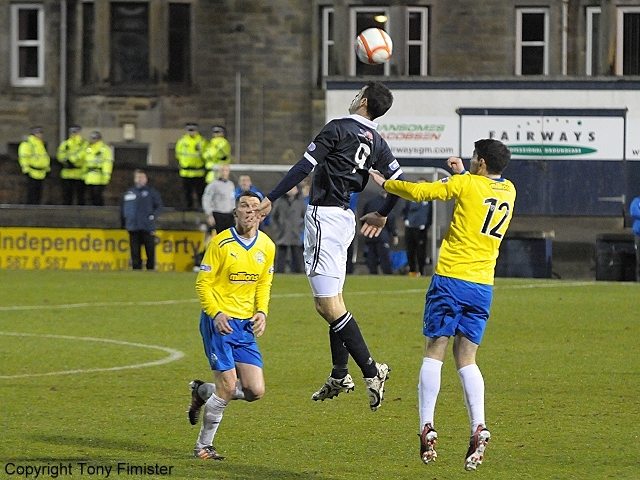 The match then ebbed and flowed, with Rovers keen to feed wide men Grant Anderson and Smith at every opportunity. 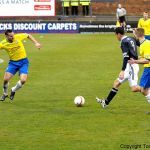 However, they remained vulnerable to frequent Morton attacks down the right flank, and from one such move the Greenock men almost re-gained the lead. Dougie Hill was out-foxed by a neat Weatherston flick, and the ever-dangerous Bacherou’s first-time shot was confidently parried to safety by Laidlaw. 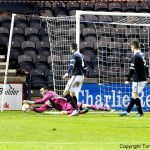 The young Rovers keeper showed better reflexes still on the stroke of half-time when Morton were awarded a soft-looking penalty following Eddie Malone’s sliding challenge on Martin Hardie inside the box. 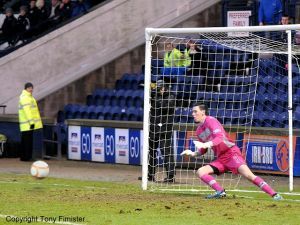 The former Dunfermline man’s penalty was struck low and firm, but Laidlaw was the equal of it, his athletic diving save ensuring Rovers headed into the interval on level terms. 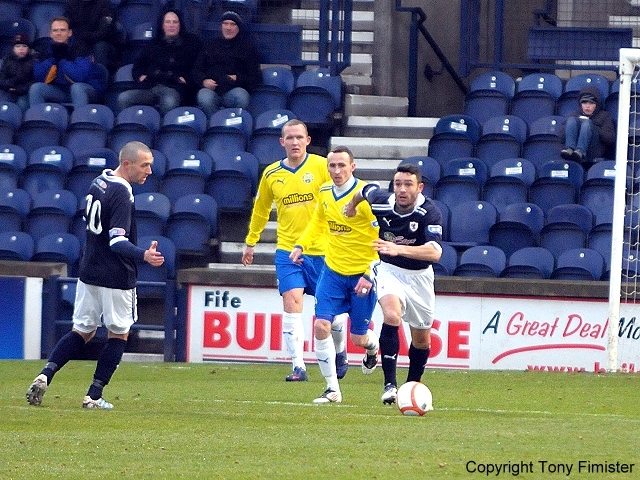 Morton opened the second half firmly on the front foot, pinning the home side back for lengthy periods. It was largely one-way traffic, and the goal inevitably came on 65 minutes, when a defence-splitting pass found O’Brien handily placed to dink his shot over the advancing Laidlaw into the net. 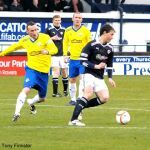 Rovers responded by replacing Joe Hamill with Greig Spence on 70 minutes, and the young forward made an immediate impact by setting up Rovers’ second equaliser of the afternoon within two minutes of his introduction. 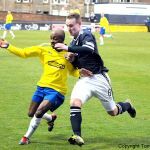 Spence shrugged off a challenge on the edge of the box before unselfishly squaring a pass to the unmarked Brian Graham, and his strike partner side-footed his shot firmly into the net from eight yards. 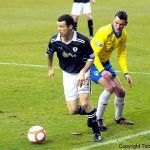 Morton’s veteran defender Mark McLaughlin was then forced to leave the field with a nasty-looking knee injury, as both sides went in search of a winning goal. 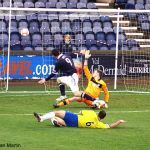 Bacherou continued to cause problems for the Rovers defence with his mazy runs from midfield, although, with five minutes remaining, Allan Walker came within a whisker of latching on to Graham’s neat pass on the edge of the penalty area. 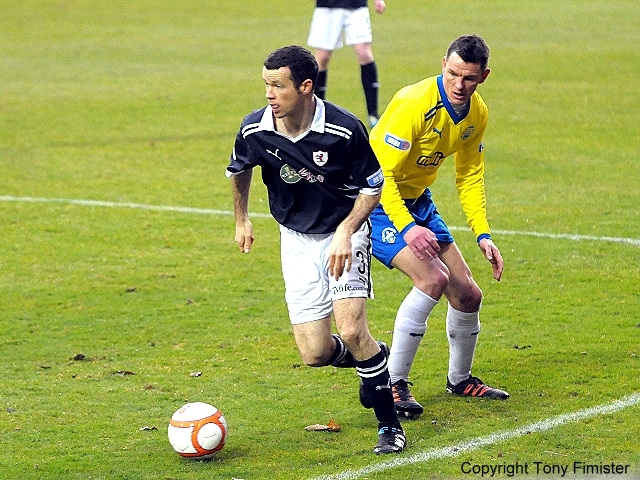 A minute later, Rovers grabbed an unlikely lead for the first time in the match. 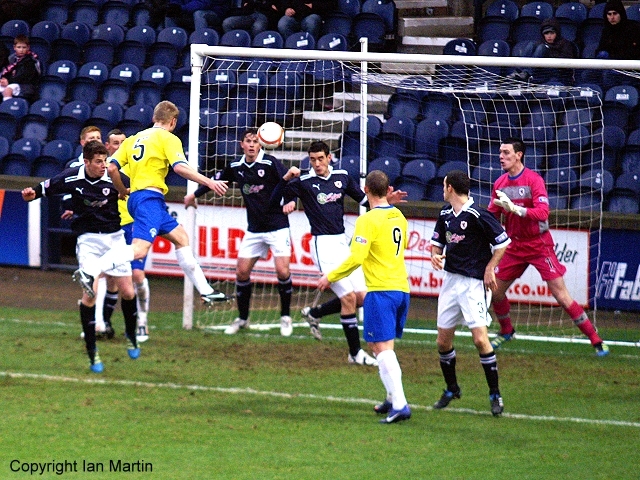 From a Graham lay-off in the centre circle, Grant Anderson went on a lung-bursting run down the right wing, and his low cross into the box was turned into the net by the predatory Greig Spence. 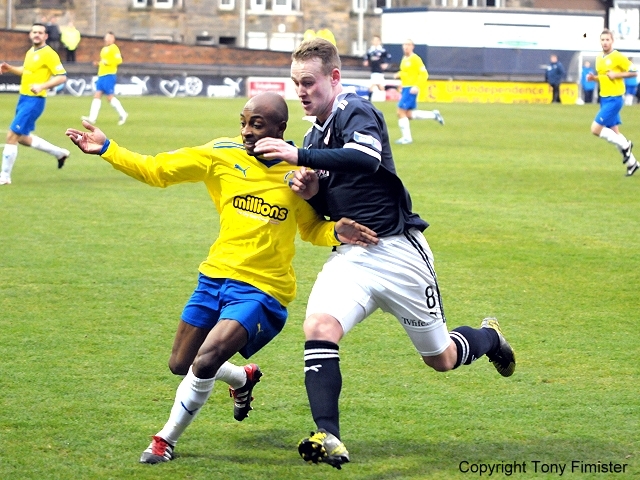 Amid the celebrations, little attention was given to neither Spence’s yellow card nor the substitution of former Rovers Willie Dyer for the away side. 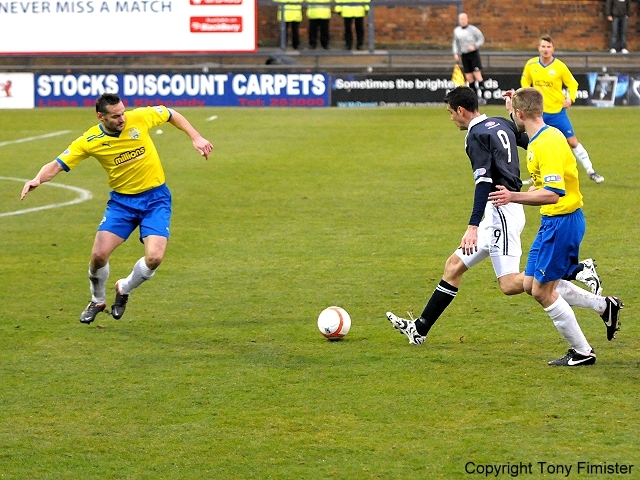 Grant Anderson then made way for Pat Clarke as Rovers attempted to run down the clock, although, with a minute of regulation time remaining, Morton grabbed what must be ranked as a deserved equaliser. 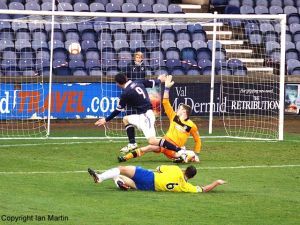 It was a carbon copy of the opening goal, although this time an in-swinging corner found the Hardie, who had the simple task of finding the net from six yards. In the end, any sense of disappointment felt by Rovers over the concession of a late goal will surely be eased by the undeniable fact that a share of the spoils was the least their opponents deserved for their afternoon’s work. 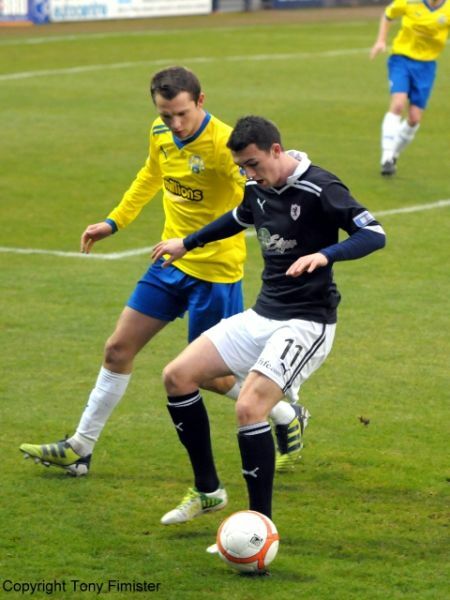 One up front for Raith, with Spence and Clarke on the bench. McGurn returns to the squad as well, but Laidlaw keeps the no 1 jersey. Strong line-up for Morton - should be a good game. 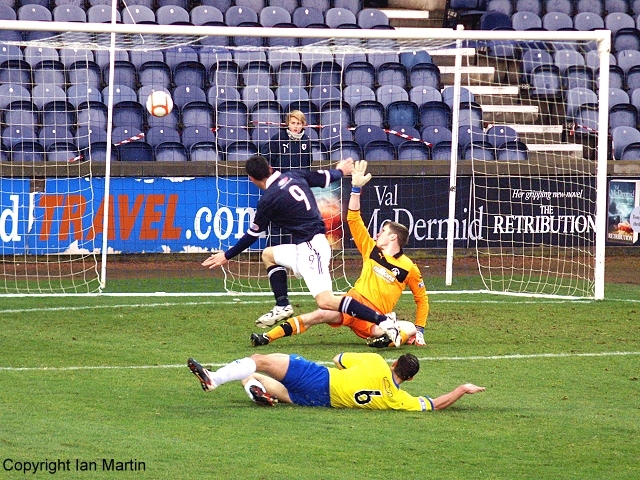 Hamill puts a good ball through to Graham who is just offside. Rovers under a lot of pressure. 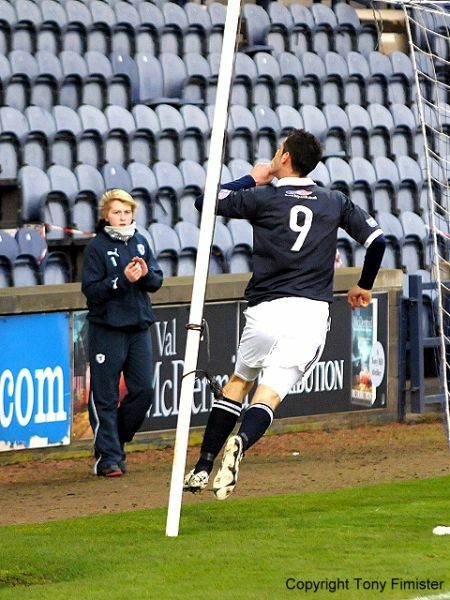 Not much relief when we do get the ball as Graham has little support. 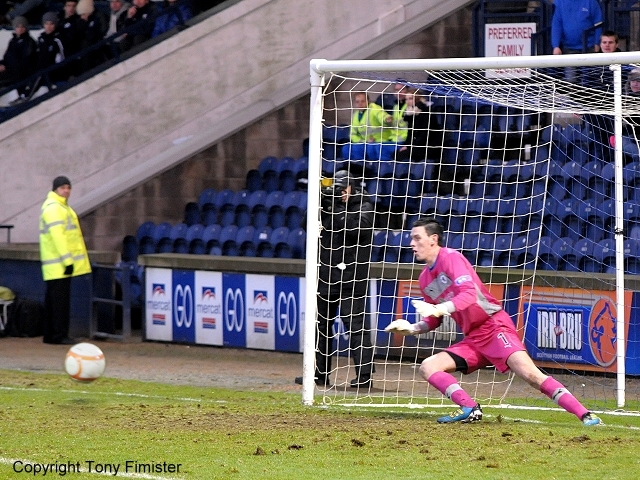 2-1 Morton. Sloppy defending left Laidlaw exposed and O'Brien rolled it into the net. The goal was coming. Spence on for Hamill. He's played well today. Terrific work by Spence to turn his man the unselfishly set up Graham for a tap-in! McLaughlin off, replaced by O'Ware. He went down heavily when Spence turned him. 3-2 Rovers! Great hold-up play by Graham, out wide to G Anderson, then a terrific cross and finish by Spence!